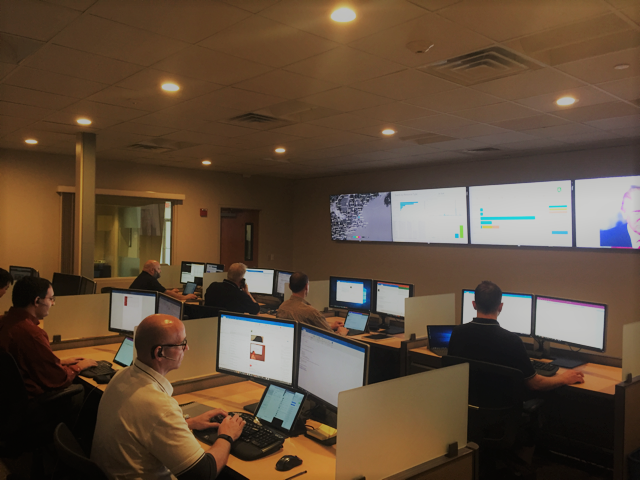 Lexington, MA, January 17, 2017 – Daymark Solutions, a leading provider of information technology solutions, announced today that it has undergone a major expansion of its Network Operations Center (NOC) to meet the growing demand for managed services. The new facility has enhanced state-of-the-art monitoring and call center equipment and can accommodate a larger staff to continue to ensure customers receive best-in-class, local 24x7 support 365 days of the year. Daymark continues to make major investments in its cloud and managed services capabilities. The enhanced NOC enables it to double the team of experts who ease the burden on internal IT organizations, freeing them to focus on more strategic initiatives. “We continue to see strong demand for the wide range of managed services we offer,” said Corey Roberts, Director of Cloud and Managed Services for Daymark. “Our customers are looking to Daymark to monitor and manage their storage and backup environments, provide comprehensive reporting and DR, and leverage our cloud expertise with Microsoft Office 365 and Azure. The NOC is just another way we become an effective extension of our clients’ IT team,” added Roberts.